There is no doubt that social and environmental awareness has been on the rise. With increasing competition to attract and keep talent, companies that have corporate social responsibility programs are deemed more attractive to both prospective employees and customers. If you choose to support a specific cause, make sure that it is important that the cause resonates to all your team (both employees and clients) so they can devote themselves to it. For example, if your company makes cookies, an appropriate CSR cause could be to advocate for sustainable palm oil, as it has a direct link. To gain further knowledge on this topic read this article. Set realistic objectives, even if they seem small, rather than lofty over the top targets that will never be achieved. Build your goals on current resources rather than big-picture dreams. Remember you will have to measure them later so don’t load yourself with a huge baggage you can’t support. Consistency is one of the keys for a good CSR strategy; be sure that all departments are fully engaged. Once you have managed to create a credible approach, don’t forget to monitor and measure its impact. Partner with an NGO that is working directly with your cause. This organization can help guide your publicity surrounding your CSR efforts, and can ensure that your efforts are recognized. Organizations such as Charity Watch, BBB Wise Alliance and Charity Navigator can help you with the selection. If employees are fully engaged, they will be more receptive to the company’s values. 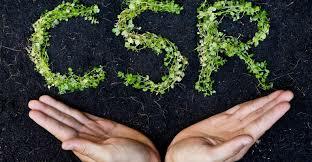 It is important that all departments are aware of your organisation’s CSR strategy in order to help execute it. If you have doubts on how to increase your employees engagement read our article on how to “Boost your Green Team”. Again, it’s all about engagement. Tell your costumers about your CSR efforts. Moderns consumers will reward companies that are socially and environmentally aware. 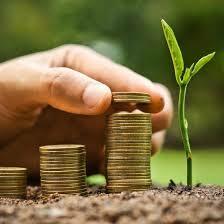 Having and promoting a CSR strategy will earn you a competitive advantage over your competition. You can’t manage what you don’t measure. Get a baseline, then measure your impact and monitor any change over time. Although it can get challenging, it’s easier to ask for help if you have data to bolster your case. Here you have some tips that may help you reach this goal. As most companies are now aware of the advantages of having a CSR program, unfortunately some are exploiting CSR for inauthentic purposes. This has caused serious concerns to customers that are now less naïve to these issues. Obtaining certification is a great way to ensure to your customers that you are not joking on this matter. BANGKOK, THAILAND, October 18, 2018 – Food waste remains as challenging as ever, and we in the hospitality and tourism industry have a special responsibility to do our part to reduce this wastage. With sustainable consumption and production practices and the Sustainable Development Goals in mind, PATA Sustainability and Social Responsibility Department gathered partners, members from hotel sectors, private and government sectors for an intimate brainstorming session to see what more we can do collectively to raise awareness and reduce food waste to landfill. The brainstorming session aimed to build on the momentum of the BUFFET (Building an Understanding for Food Excess in Tourism) Initiative to discuss on the current situation of food waste in hospitality and tourism industry in the Asia Pacific. Chi Lo, PATA Sustainability, and Social Responsibility Specialist kicked off the meeting with an introduction to the campaign. The session then continued with a self-introduction of participants on their personal interest on food waste as well as an introduction on what their organisations are currently pursuing. Dr. Mario Hardy, CEO of PATA as well as Trevor Weltman, PATA Chief of Staff were present in the discussion to engage with our partners and contribute their knowledge on this matter. The brainstorming session took off thanks to everyone’s passion for the issues at hand. The main activity of this brainstorming session revolved around the discussion of strategies and ideas on how to further raise awareness of food waste in our industry and drive positive change. A state of industry report is set to be released in May 2019 which will showcase the results and findings of the Bangkok Hotels Project. This report will also include valuable case studies of food reduction champions in the hospitality industry. The next highlight of the BUFFET initiative will be the announcement of the BUFFET for Youth challenge. The winning team will showcase their case study at the PATA Youth Symposium in PATA Annual Summit 2019. PATA extends its gratitude to all the organisations who participated in this brainstorming session. We look forward to working together in a collaborative effort to tackle this global issue. As the year 2017 came to an end, PATA staff went through their belongings and brought unwanted clothes, books and other items in good condition to the office for donation. 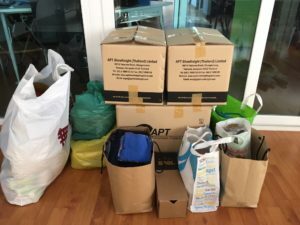 We wanted to help those less fortunate here in Bangkok and contacted Second Chance Bangkok to let them know about the pile of donations we were able to gather from our homes. Second Chance Bangkok provides second hand items to residents of Bangkok’s largest slum, Klong Toey. Donated goods are sold to residents for only a few Baht, or given away for free. Second Chance Bangkok also upcycles unwanted clothing by creatively using them to design great bags and gift wares. 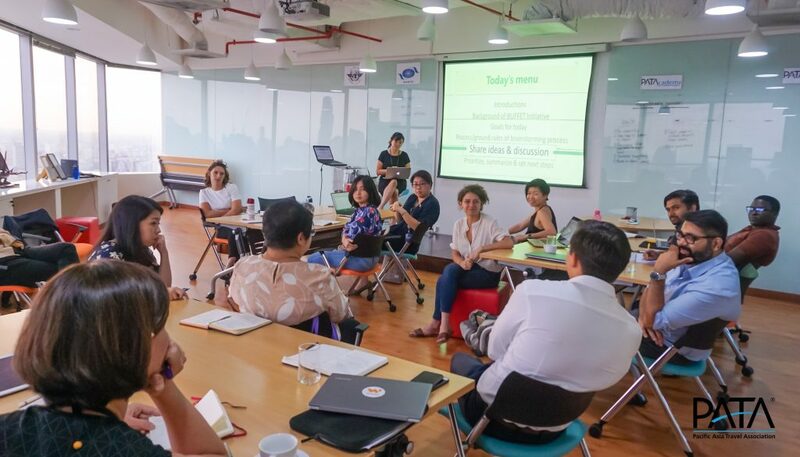 This innovative program simultaneously creates employment for women in the Klong Toey slum. The wonderful team from Second Chance Bangkok gratefully picked up the donations from our office on January 18. We intend to repeat this initiative twice a year from now on to help those in need. Our pile of donations included men and women clothes, books, toys, shoes and toiletries. We all know energy doesn’t come for free; but even more importantly it also costs the earth more than we think. Most of the energy sources we depend on for our daily lives, like coal and natural gas, can’t be replaced – once we use them up, they’re gone forever. Another issue is that most forms of energy create pollution, with their associated greenhouse gas emissions contributing to global warming and climate change. Conserving precious natural resources, and creating a better, more sustainable world, is a core company philosophy- with our energy management program reducing MGM’s energy consumption and carbon footprint by over a quarter since our company’s inception. On October 18, it was announced that MGM is recipient once again of the ASHRAE Regional Technology Award for 2016, one of three winners in the Asia-Pacific region highlighted for best practice and innovation in energy management. Since 2008, MGM has reduced energy consumption by 28%, even despite high visitor numbers and an increasingly warming climate. MGM’s energy management program is characterized by investing is the best available technology in energy efficiency, as well as real-time monitoring through advanced systems that allow MGM to identify opportunities for energy saving right away. On September 27, MGM MACAU hosted the Macau Chapter inauguration ceremony of the American Society of Heating, Refrigerating and Air Conditioning Engineers (ASHRAE), led by the global ASHRAE President, Mr Tim Wentz. ASHRAE is an international technical society dedicated to promoting sustainability and resource-efficient operations in buildings management, most notably through efforts to reduce energy consumption and improve internal air quality. 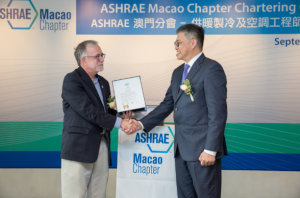 With over 170 chapters worldwide, ASHRAE has extensive global reach and an impressive network of industry-leading knowledge, something the Macau Chapter will be able to leverage in contributing to Macau’s standing as a center for industry-leading expertise. MGM’s Executive Director of Engineering, Mr. Peter Chan, has been elected to be the first President of the Macau Chapter, warmly receiving the official chapter flag to mark the inauguration. “I am proud to have been awarded with this honor. The Chapter is excited about the opportunities for development that ASHRAE will bring in helping to build a platform to showcase and develop leading engineering expertise in Macau”, said Mr. Peter Chan. 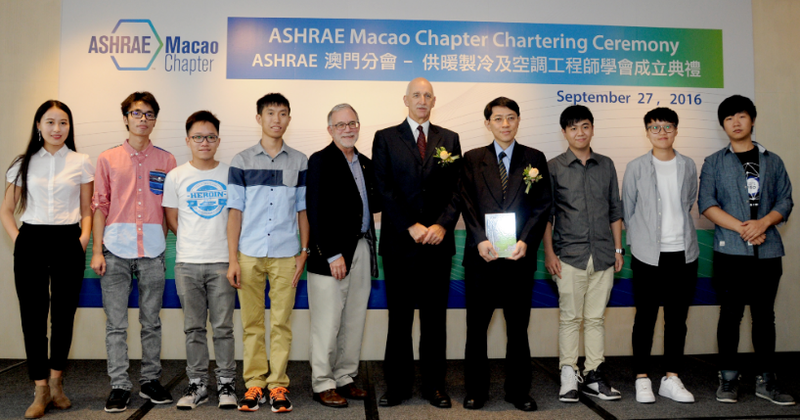 In addition to hosting and sponsoring the event, MGM also donated the full set of ASHRAE technical materials as an educational resource to the University of Macau. These standards are often referenced in building codes worldwide, and are considered essential resources for the engineering industry. The materials were formally presented to Professor Pak Kin Wong, the Associate Dean of the University of Macau’s Faculty of Science and Technology, by Mr. Grant Bowie, Chief Executive Officer and Executive Director of MGM China Holding’s Limited. “One of our core sustainability objectives is to contribute to inspiring and providing the youth of Macau with the resources to become the future leaders of tomorrow; we are delighted to present these materials to the University of Macau’s Faculty of Science and Technology to support their aims to create world-class engineers. We are also proud of Peter’s great achievement in being elected as ASHRAE’s first President, which is testament to the high quality team we have here at MGM”, said Mr. Grant Bowie. In a separate event, MGM’s Director of Sustainability, Ms. Rebecca Donnellan, also presented on its energy management strategy at the 2016 CSR Asia Summit on September 29 in Hong Kong. The Summit is one of the largest sustainability forums in Asia, attended by hundreds of professionals in the field sharing knowledge and discussing business solutions to complex sustainability problems in today’s society. 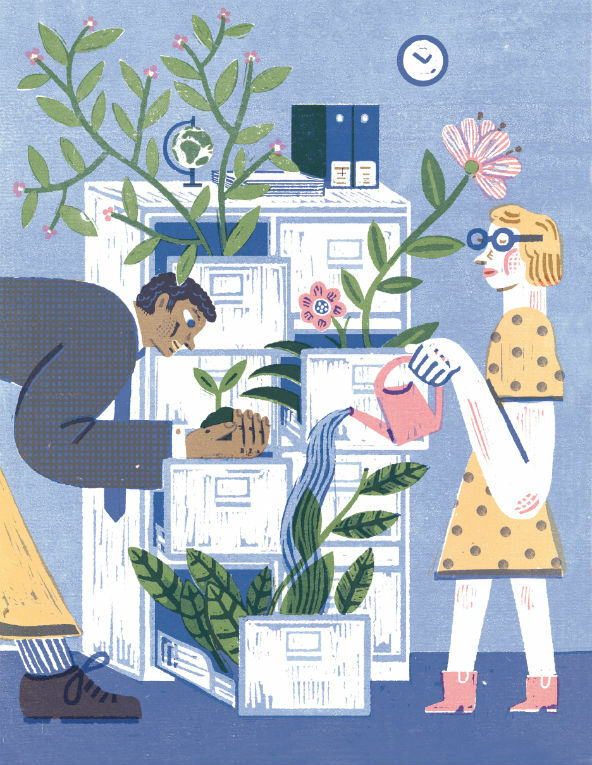 The key to creating a vibrant and sustainable company is to find ways to get all employees—from top executives to assembly line workers—personally engaged in day-to-day corporate sustainability efforts. Inspired by Unilever’s sustainability slogan, “Small actions can make a big difference,” workers at the company’s PG tips tea factory in Trafford Park, England, had a bright idea. In Britain, most tea comes in paper tea bags. By reducing the end seals of each tea bag by 3 millimeters, 15 huge reels of paper could be saved every shift. Since its launch in 2015, this factory-floor suggestion has resulted in savings of €47,500 and 9.3 tonnes of paper (about 20,500 pounds). By Paul Polman & CB Bhattacharya. Read more. Have you heard about employee volunteering? Have you considered initiating a volunteer program in your organization? Employee volunteering is when companies let their people take on voluntary tasks in communities that result in leaving a positive and lasting impact. It is not a new concept, in fact, more and more companies are recognising the value of what their people can give back – as it is true that employees are what makes the company and are the ones who deliver what they stand for. Volunteering is also a very effective and powerful form for businesses to invest in their staff as well as local communities, since it can be credited to the company’s enacted social responsibility. 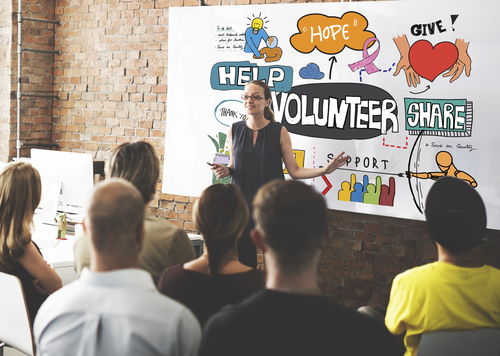 The three core benefits to a company with employees who volunteer are (1) Improved Employee Engagement, (2) Strong Recruitment of Younger Employees, and (3) Improved Corporate Visibility. Learn more about each benefit on Fronstream’s blog. Visit employee volunteering for more information and see some examples here. 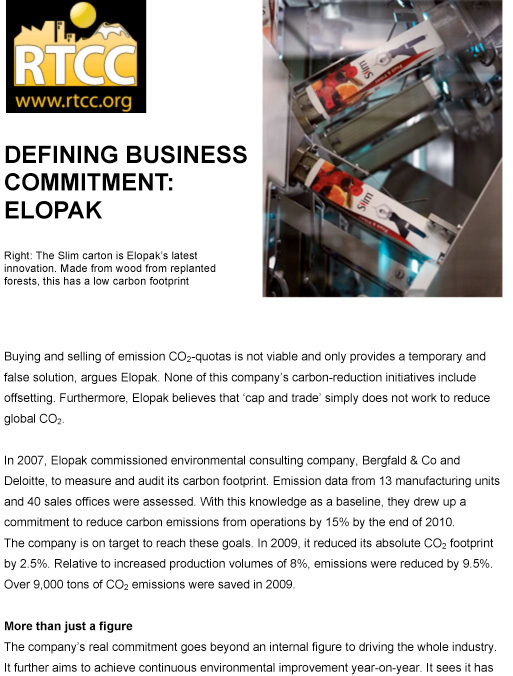 In 2007, Elopak commissioned environmental consulting company, Bergfald & Co and Deloitte, to measure and audit its carbon footprint. Emission data from 13 manufacturing units and 40 sales offices were assessed. With this knowledge as a baseline, they drew up a commitment to reduce carbon emissions from operations by 15% by the end of 2010. Way back in 2003, when I was new to CSR and had just joined Wells Fargo, one of our team members was granted a six month paid leave to work with a nonprofit to create an entrepreneurship program for women in Armenia. The effort was so successful that she was asked to speak at the United Nations; not long after, she left the company to pursue that work. Peter Dudley. Read more. 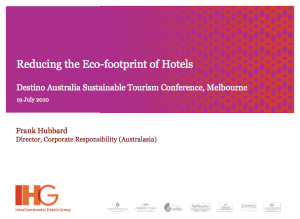 Presented by the InterContinental Hotels Group, this paper outlines a number of responsible business practices such as reducing the carbon footprint, reducing emissions and energy, and waste management.